Over the past few years we’ve shared lots of secrets to get you excited about rippin’ it up in the Highlands. Whether you’re a seasoned rider or new to the club, we have the insider’s tips that will make your trip. Check out the stories below for the best roads to cruise, places to grab a bite, or adventures to brag about. For most people travelling on four wheels, roads serve the purpose to move you from point A to point B. For the two-wheeled set, the road is the soul of your journey. As it winds, twists, and meanders, on a bike you become one with the road. Ontario’s Highlands is a special place where straight lines are rare, and smiles are big. Have you carved all of these roads yet? Ride the Highlands is known for delivering non-stop deliciousness. From traditional polish food, gooey butter tarts, hoppy craft beer and mouth-watering BBQs, your saddlebags and your belly will be full. Check out our four featured stories that will guide you to the best places to ‘fill up’. Curious about what your trip may look like? 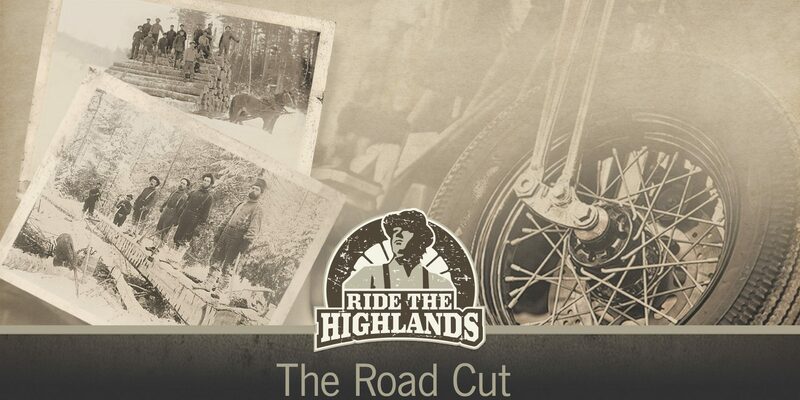 Check out what your moto-brethren has to say about their ride in the Highlands. Sold on riding the Highlands but need to know where to start? Our philosophy is based on making your trip planning easy. We take the guesswork out of planning your trip, with every suggestion and every stop reviewed by riders for riders. Our pre-planned loops and features like the Saddle Bag make keeping track of your route and stops easier. Let’s get started. Now that you have the inside scoop, share with your buds and set a date to ride. Ride the Highlands is always happy to help assist with your group’s trip planning or give suggestions for your route. Give us a shout on Facebook or via email at ontariohighlands@gmail.com, and always remember to tag us on your Instagram posts @ridethehighlands or #ridethehighlands.